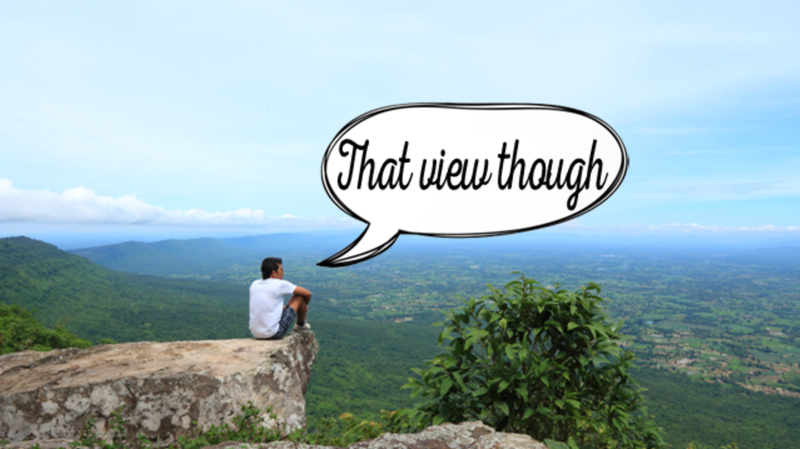 The Evolution of "That [Noun] Though"
First of all, let's establish what we're looking at. We've got several parts: "dat" or "that" at the beginning, a noun like "pic" or "face" in the middle, and a variously-spelled "tho/doe/though" at the end. And the overall effect is positive: to say "dat hair tho" means that you approve of someone's hair. We can see there's already variation in how it's spelled: the creator of this video, @KingBach, tags it #ButThatBackflipTho in June 2013, while another video titled "dat dagger tho" went up on YouTube in April 2013. The second spelling is also used on Know Your Meme, which links it to an earlier image meme. It does look like the full "that … though" version is the newest: Urban Dictionary, for example, has "dat … doe" entries from late 2013 ("dat [blank] doe" from November 2013, for example) but the earliest "that … though" entry isn't until July 2014—almost a year later. Why might the spelling have changed? The pronunciation of "th" as "d" has a long history in many English varieties, including African American English, which is where this and many other slang terms have been taken from (see bae). The use of "dat ... doe" is a form of eye dialect, a way of spelling out non-standard pronunciations, but it can be unclear whether the spellings come from within the community, or from outsiders making assumptions about what they think a dialect sounds like. The gradual increase of the spelling "that ... though" may reflect the bleaching of its associations with African American English as the construction spread—and the diversity of spellings overall may be linked to people often picking it up via speech rather than writing. But "dat ... tho" hasn't just changed spelling—it's also changed meaning. The earlier uses of "that … tho" tend to present it in a larger context where the "though" indicates a mitigating factor in comparison to some other thing that's not as good. For example, in "that backflip though," KingBach runs in calling "I'll save you" after a woman's purse is stolen. But instead of chasing after the thief, he runs up a wall and does an—admittedly impressive—backflip. Wait, what?? "Yeah but that backflip tho" acknowledges that the backflip is both well-executed and completely unexpected. Similarly, the earlier Urban Dictionary entries for "dat booty doe" and similar expressions come with example scenarios which start with a negative comment about someone's face—a response like "but dat booty doe" or "dat smile tho" is clearly intended to express a mitigating factor. But by a year later, it's become a general way of expressing approval without the initial setup of surprise or disappointment. A commenter on Reddit around the same time adds another contradiction-free example: "Watching a football game. Receiver makes great catch. 'That catch tho!'" You could think of it as the speaker preemptively contradicting the objection you haven't even made yet. That superlative though.